My favorite building in Toronto is the Ontario College of Art and Design (aka OCAD). I never went to design school but I owe a lot to this cool rectangle. 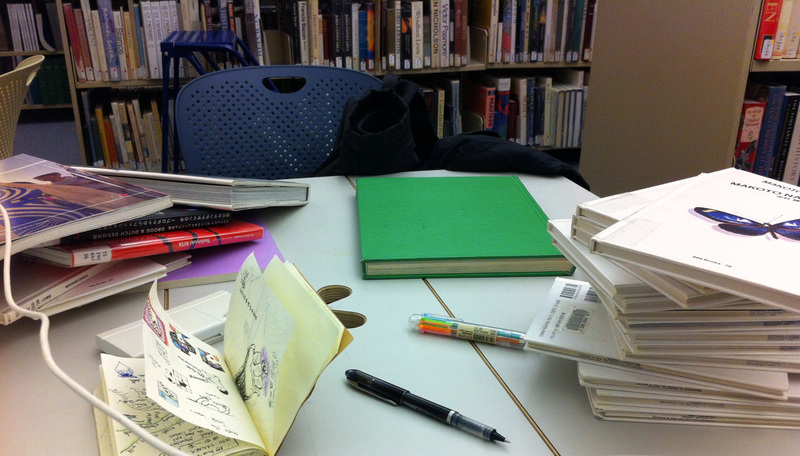 During a particularly long spell of unemployment, I hung out at the OCAD library almost everyday. My hot picks were volumes of ‘Illustration in Japan’ from the 80s, graphic design award compendiums and back issues of Computer Arts. Sometimes I’d take notes, sometimes I’d try and reproduce things. I’d given up on finding a job. I only cared about getting over the painful gap between where I was and where I wanted to be. I wonder if I would’ve been on that grind in the same way if OCAD looked like any every other school. Whether we realize it or not, ambitious things draw us in and inspire us with the personality of the people who made them. Speaking of, this particular building was designed by a particular architect named Will Alsop. I caught one of his talks at a local university, he seems like a cool guy, I hope I give as few fucks when I’m that old. He talked about a bar he designed and dropped a line about how the joy people get out of something is directly proportional to the joy the creators had while making it. Years later, I still think about that line a lot.